Another visit to Jollibee allowed me to see a new item on the Jollibee menu. That “langhap sarap” item is the chicken and mushroom pasta. I know that I need that order it the moment I saw it on the Jollibee menu. Good thing that this 70 pesos meal already has a regular-sized soft drink. I think that Jollibee is trying to diversify its pasta meal. The popular pasta found on the Jollibee menu is the Jollibee spaghetti. It is a big hit for the kids and fans of Jollibee. 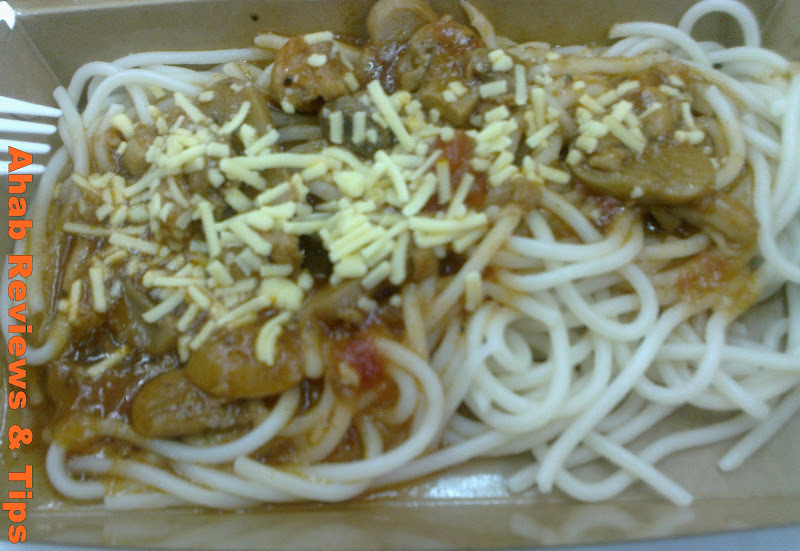 Jollibee created the chicken and mushroom pasta for those who are not fan of the sweet Jollibee spaghetti. The chicken and mushroom pasta that I got was placed in a box. I was disappointed when I opened the box. What I saw is just the pasta. I actually expected Jollibee’s chicken and mushroom pasta to have one piece Jollibee Chickenjoy. Silly me. The chicken in this pasta meal are the small bits of chicken meat not the big Chickenjoy. I am not disappointed with the flavor, though. I think that it tastes better than the Jollibee spaghetti. It taste more like a respectable pasta (for adults), which is very unlike the Jollibee spaghetti that is too sweet (but is appealing to kids). It is good that Filipino’s favorite fast food restaurant added another spaghetti meal on the Jollibee menu. People who want to eat pasta will have option other than the Jollibee spaghetti. Visit Before the Eastern Sunset and read about Camotes Island.